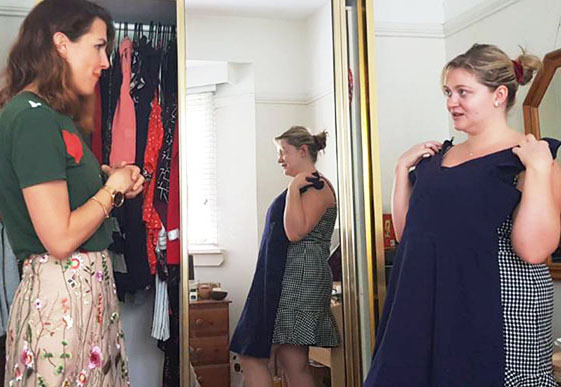 This time last year I wrote a detailed step-by-step guide on how to conduct a WARDROBE DETOX (click & scroll to the bottom) containing practical fashion tips resulting in a full wardrobe makeover, including helpful storage solutions. So this year, I’m hoping you’ve done the big overhaul (??) and don’t need a huge cleanse, or maybe you don’t have the time or head space to commit to re-organise your entire belongings, so for you, I’m offering shockingly simple style advice. The first and most crucial step when giving your wardrobe a makeover is to EDIT. I can pretty much guarantee that you probably don’t need all that ‘stuff’ that is currently in your closet. Alter or make the item in to something new, so for example if you love the colour and pattern on a top but hate the sleeves, remove them! Voilà! A brand new top you will wear for $20 tailoring cost! 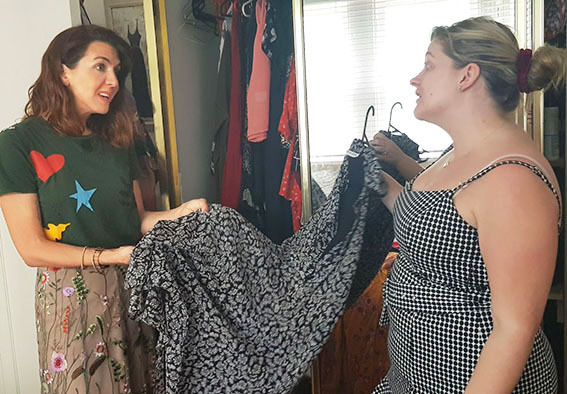 Any of these ways to recycle your textiles would not only eliminate guilt, but actually make you feel pretty good about supporting sustainable fashion in Australia and becoming more environmentally friendly. There’s an increasing number of sustainable fashion brands throughout Australia & New Zealand..but more on that in a different post! Another reason why editing is so crucial is because it’s counter-intuitive to try and find space for clothes and accessories you’re not actually enjoying? They just take up valuable space – and for Sydney wardrobes that means prime real estate!! If you approach your wardrobe/draws with this in mind, it drastically changes what your space needs to contain. > Means you can’t see the fantastic pieces you own as they’re covered by your fashion mistakes – if you can’t see it you won’t wear it! > Stresses you out when you can’t find the what you want! The Minimalists are American authors, podcasters, filmmakers, and public speakers Joshua Fields Millburn and Ryan Nicodemus. The duo began pursuing the minimalist lifestyle in 2010 and have influenced thousands of people to do the same, to read more about them click here. 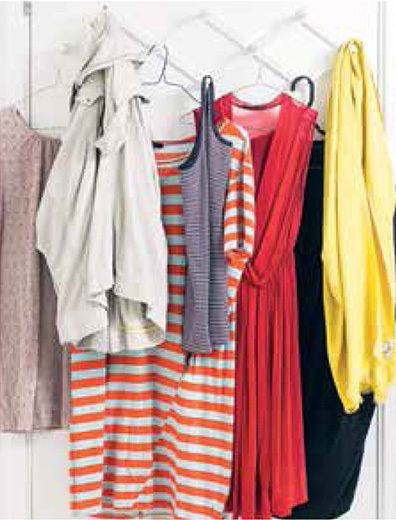 However, cleansing your closet can be as simple as eliminating just a 3 pieces. Simply starting to remove just a few things no longer serve you is freeing, cathartic even. Getting rid of emotional baggage! Don’t think it has to be a huge clear out where you try on every piece you own and decide its future, to be honest, you can probably identify certain clothing you’re not enjoying, instantly? Be honest with yourself and where you’re at, if an item doesn’t represent YOU and your personal style meaning you’re always going to choose something else instead, then maybe it’s time to discard? We evolve as people therefore our fashion style needs to evolve accordingly. Some of our belongings make us feel uncomfortable at certain times – if we’ve put on weight for example which most of us are guilty of during Christmas and New Year – but it might make us feel more uncomfortable thinking about throwing it out. Therefore a ‘mini-wardrobe-makeover’ might suit you better? Below is actually my mini wardrobe detox I’ve just conducted consisting of 20 pieces that I’ve removed, not because I hate them, but because I don’t fancy wearing them right now so i’m giving them a ‘rest’. 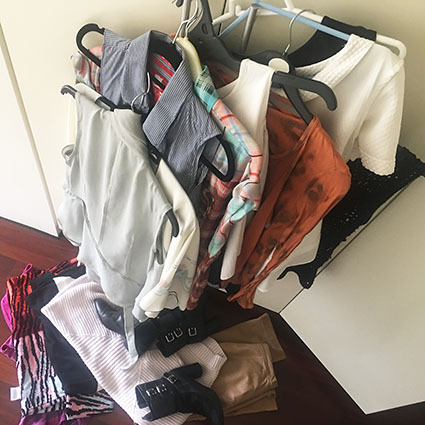 Working as a personal stylist in Sydney, this is the fashion advice I give – ” sometimes, some clothes just need to be given a rest “. Don’t we all need a rest sometimes? Obviously there are seasonal changes to our wardrobe to ensure it’s always weather-appropriate, which i’m sure you do every 6 months as you follow me regularly and know I endorse this 😉 so what i’m talking about is resting ‘other’ items you’ve fallen out of love with – pieces you’ve worn on heavy rotation, an item you just can’t quite outfit how you hoped or something you’ve simply ‘gone off’. Don’t just assume you have to throw these out. DOES IT FIT MY BODY TYPE? If the answer is ‘NO’ to most questions, then try the sustainable fashion suggestions 1-6 above. If the answer is ‘YES’ to most questions but you still don’t feel like wearing it, then perhaps give it a rest? Carefully store it somewhere outside of your functional wardrobe (although it can be shelved at the very top of your closet), then re-visit it in 3 or 6 months time depending on your comfort level and you might just find you now have the top to wear with that ‘rested’ skirt, or you forgot you had that lightweight knit and can’t wait to wear it again? Which is free of charge. And that’s the best bit! So why not start with just 3 pieces? 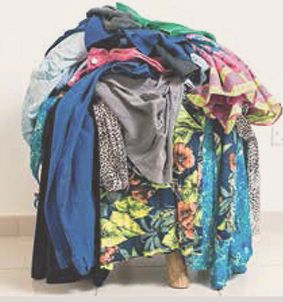 You might find that over time, you feel more comfortable to remove a few more items because your not throwing them away, never to be seen again, but instead transferring them to a ‘rest pile’ therefore you can be pretty ruthless as it will remain in your home. OK, So What Shouldn’t I Throw Away? > Vintage styles …as they always look cool and could double as fancy dress! 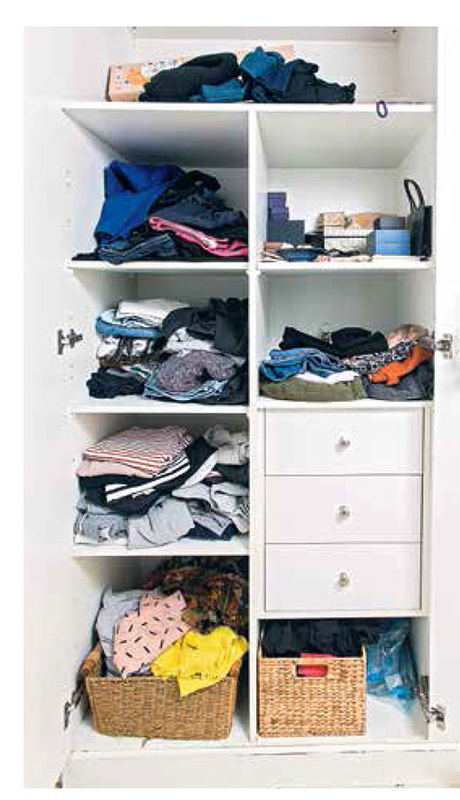 So you can see how easy organising your wardrobe can actually be. JUST START TO EDIT A FEW PIECES…AND GO FROM THERE! You don’t need to necessarily approach it as a 2-day-job, but instead just start to be honest about what you haven’t worn and ‘rest’ them to give your wardrobe a mini-makeover. Trust me, you’ll start to enjoy your edited wardrobe so much more when all you can see is great purchases, that fit you and are ready to throw on! Contact me to make a booking here. See you soon!